This sweet little condo is the perfect landing pad for your city lifestyle. With a Walkscore of 97, everything you need is within a few blocks. 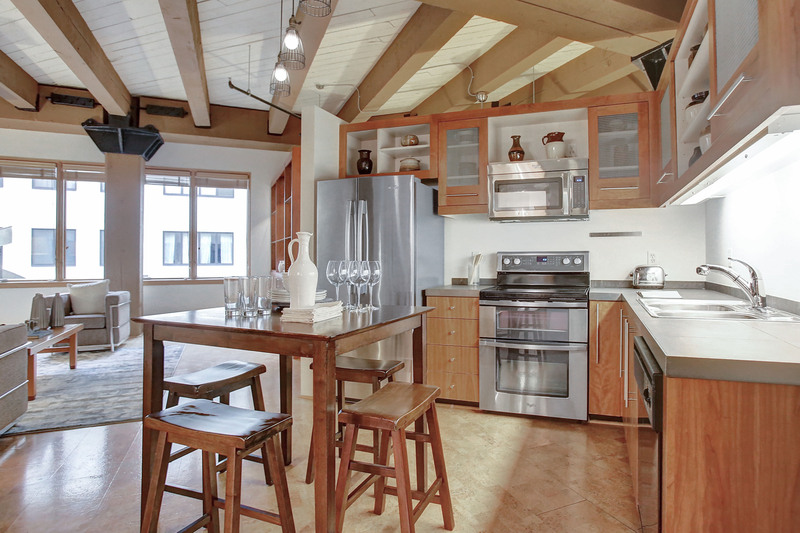 This exceptional 1 bedroom loft boasts central AC, a Nest thermostat, fresh paint, warm cork floors, upgraded appliances and private laundry. The jewel of the unit is the beautiful custom built, 2-sided cabinet that effortlessly separates the bedroom from the living space. The interior atrium view allows for bright natural light yet buffers the city and freeway noises. 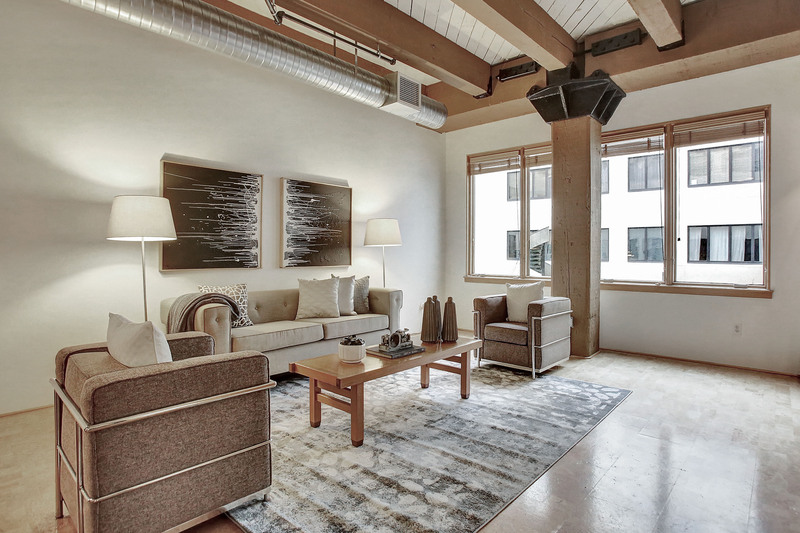 Enjoy a true loft experience in a historic warehouse. The 1910 Marshall-Wells building features old growth timber, high ceilings, open floor-plan, exposed beams & concrete walls.